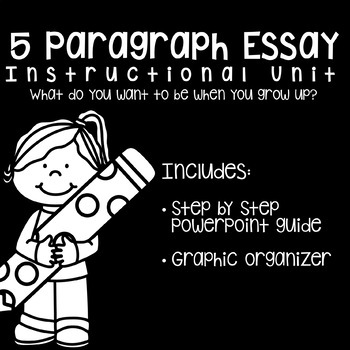 Five Paragraph Essay Unit: What Do You Want To Be When You Grow Up? 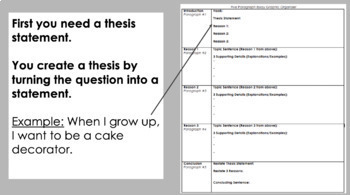 Teaching students how to write a five paragraph essay has never been easier! When you purchase this product, you will receive a powerpoint that guides students through writing a five paragraph essay as well as a straightforward graphic organizer for student use. Students will respond to the prompt, "What do you want to be when you grow up?"